Wow! the year 2016 has indeed been moving on an "Achilles heels". How fast the year ended. January 1, 2016 came with a lot of expectations, resolutions among other vital plans we wanted to be pursue. Recounting it all, I may say the year has been really great as well as the most challenging ever. As part of my 2016 plans, finding a new job was among the topmost on the priority list, moving into a new apartment, strengthening the relationship I have with colleagues at work, family and friends among others, buying a new car, and staying healthy. Here is December 31,2016 and I ask myself did I achieve all the aforementioned? Mmhh well, not all, but definitely being alive and healthy, yes! I also got the new job, my friends and family are all in good shape. As a corporate professional for the coming year 2017, I would like to challenge myself to new heights in my field, as well as contribute effectively to the growth of my company. 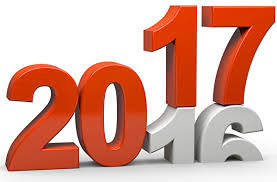 I look forward to a great 2017 with you all.